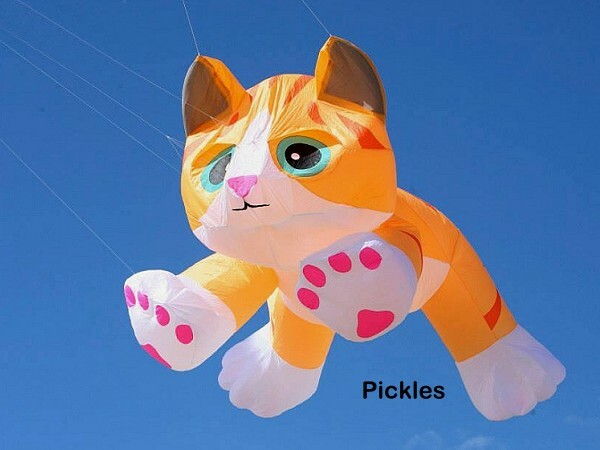 8ft long wind inflated kitten that fills through its' ears. For kites of around 9ft wingspan and above. Large Deltas or Large Power Sled 24 will work well for instance o lift the Kitten. Great eye catching line laundry. Made by Premier Kites, storage bag included.